A classic match up, these two mice have been rivals for nearly a decade now. 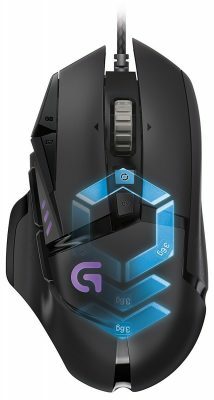 I personally find the DeathAdder shape and buttons a little more satisfying than the G502, but this comes up nearly to personal preference. On a spec side, the DeathAdder also has a better cable and is lighter at 105g vs the G502's 121g.